In my twenty-five year career as a military historian and writer, I’ve been very fortunate to have met and interviewed some incredible leaders—men and women who inspired those under their command to feats well beyond the norm. I’ve interviewed men who airdropped into Normandy, NCO’s who fought room to room in Fallujah, pilots and crew from the Doolittle Raid, two of the four men who formed the “Killer Flight” who shot down Admiral Yamamoto. Generals, admirals, Marine Corps legends like Marion Carl—these are the people who have composed the best of my professional experience since I left graduate school. I have been blessed with such associations, and my life’s work has been a source of pride and strength. Then I encountered Robert Ault, and everything I thought I understood about leadership changed. In early September 2010, I met Lieutenant Colonel Robert Ault, Brawler Six, and it took about five minutes for him to blow my hair back. There on the edge of the world at FOB Shank I had encountered a character who could have stepped from a Nelson DeMille novel. Walking around Task Force Brawler, interviewing his air and ground crews, it became clear to me that LTC Ault was one of those rarest of leaders—a man universally admired and whose people would do anything for him. As he went about his day, I was amazed at the reaction his presence had on those around him. He’d blow into a room like a northeaster and light up everyone with his enthusiasm and energy. He has an infectious personality, one that he is careful to use in a positive manner. If he had an off day—if something at home troubled him, or the stress of command and constant missions ever got to him—he never revealed it. He was a force of his own, and in his wake he always seemed to leave people grinning from ear to ear, be they under his command, Jordanian officers or local Afghan elders. His effect transcended culture and difference, and he used that power to unite and forge relationships that most would have never been able to pull off. For Rob Ault, it was as natural as breathing. Born in Southern California, LTC Ault grew up always wanting to fly. When he was sixteen, he used the money from his after school job as a box boy to take flight lessons. He earned his pilot’s license a year later. He somehow managed to conceal this achievement from his parents. When his dad finally found out, I suppose astonishment aptly covers his reaction. When other high school kids were out living it up, tinkering with cars and hitting the 80’s-era SoCal mall scene, Rob Ault and his pals went flying. On one flight, he took his friends to Catalina Island off the coast in what became one of his favorite memories of his youth. Other times, he and his buddies would mock dogfight each other in Cessna 152’s. Some of his high school teachers totally misunderstood the sort of man developing inside Robert Ault. One cynically told him he’d be well suited for a job in the construction industry. They missed the intellect behind the Puckishness; their loss. Ault moved on to college and earned his first degree from Cal State San Bernardino. He joined the Army and became an aero scout, flying OH-58 Kiowas. Later, he transitioned to Blackhawks. 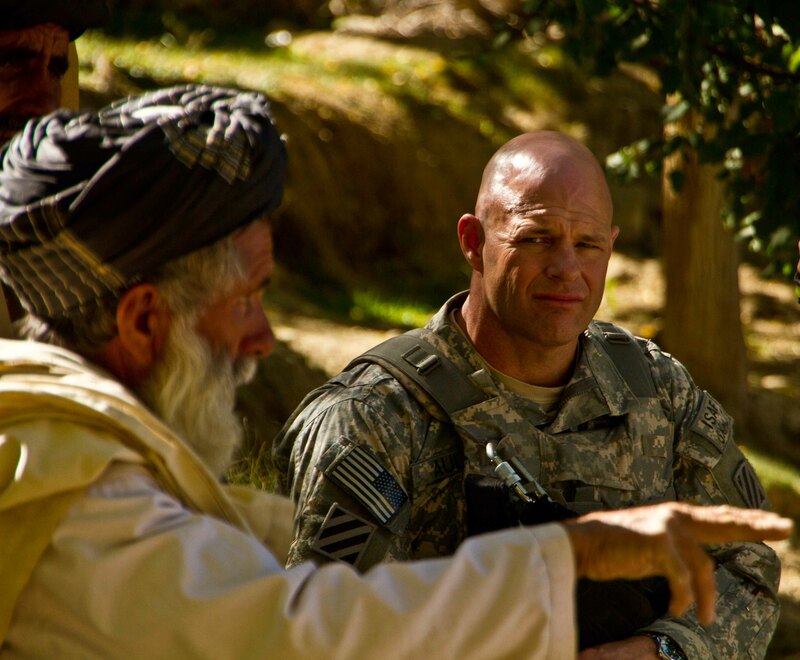 LTC Ault with a village elder, listening as the Afghan explained how the Kabul government had neglected his people. He complained non-stop about what he had not been given. Ironically, not a single vote had been cast in his village in the national election a few weeks before this photo was taken. 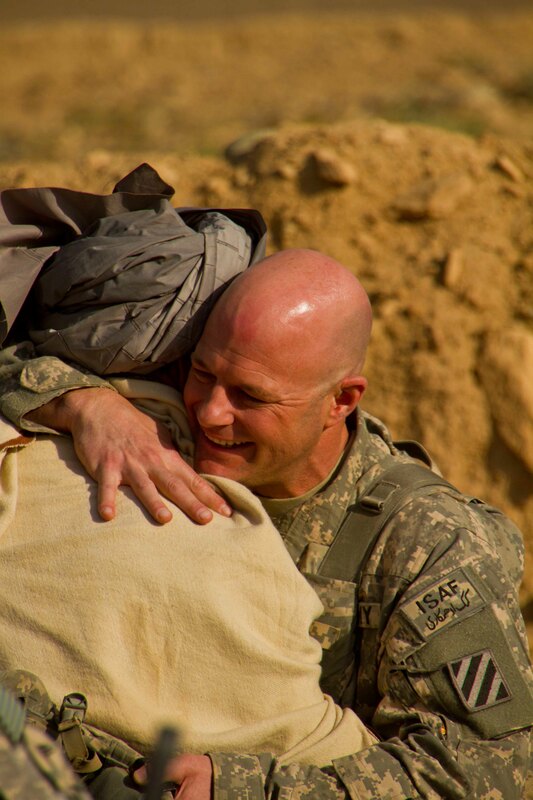 Before coming to Afghanistan, LTC Ault served in Iraq in two non-flying staff slots. While meeting with local Iraqi security officials and political leaders, he was nearly killed by a suicide bomber. Dozens of Iraqis were killed or wounded in the blast, but somehow LTC Ault survived despite the fact that he was not wearing body armor at the time of the attack. From the outset, Ault ensured that things would be different in his command. He wanted to create a totally new culture for an air unit, one that could set the conditions for an “exponential” effect on the battlefields of Afghanistan. Most air assault battalions function as sort of an airborne taxi service. 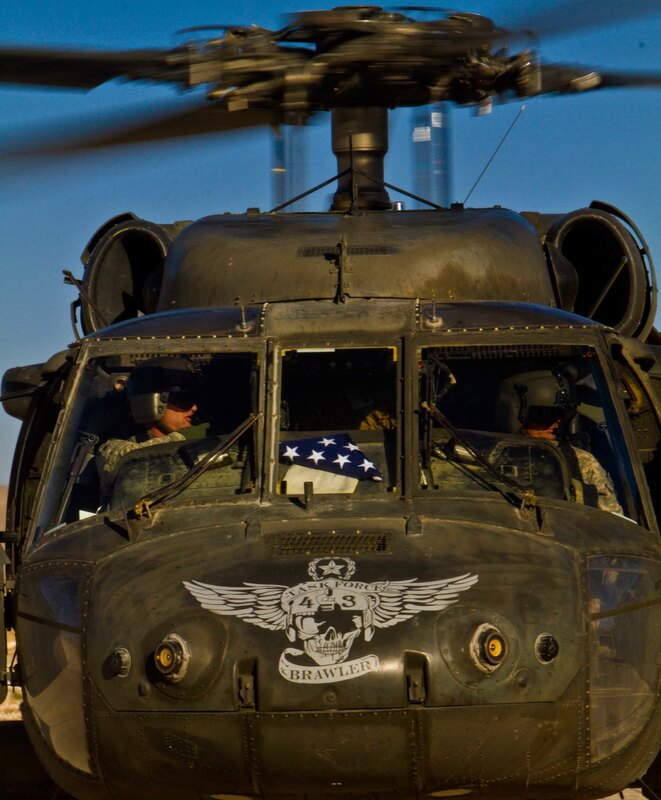 The local ground units they support send over Air Mission Requests (AMR’s) for the battalion to execute, and the Blackhawks will run around day and night moving troops from base to base, inserting them in air assaults, or lugging supplies from one point or another. It is an important job, but it is a reactive one, and does not tie the air unit into the ground war in anything but an ancillary role. Lieutenant Colonel Ault had a different vision. He wanted his task force to be right in the middle of the fight with a much more proactive and aggressive part to play. Here, he combined his leadership skills with a powerful and creative intellect. In the process, he transformed Task Force Brawler from just another air asset into a revolutionary force on the counter-insurgency battlefield. 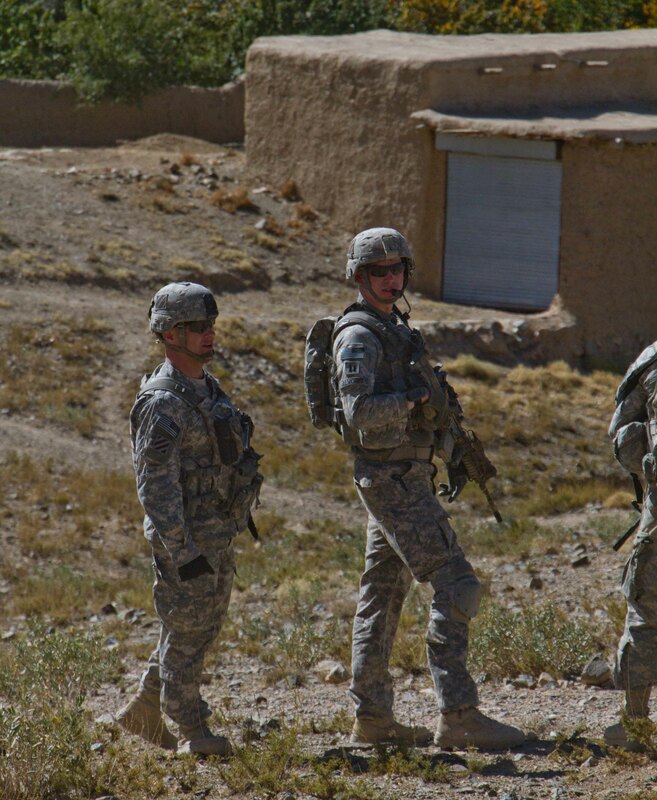 LTC Ault (left) and Captain Andrew Alvord on patrol. Colonel Ault reorganized his support company and created what became known as the “Ground Combat Platoon” from his fuelers, motor T guys, clerks and quartermaster. In the year before they arrived in Afghanistan, the GCP trained furiously in every aspect of infantry tactics. They worked on MOUT ranges, practiced air assaults and downed aircraft recovery missions. In the process, they worked side by side with the air crews and developed almost instinctive cooperation over the course of many realistic field exercises. 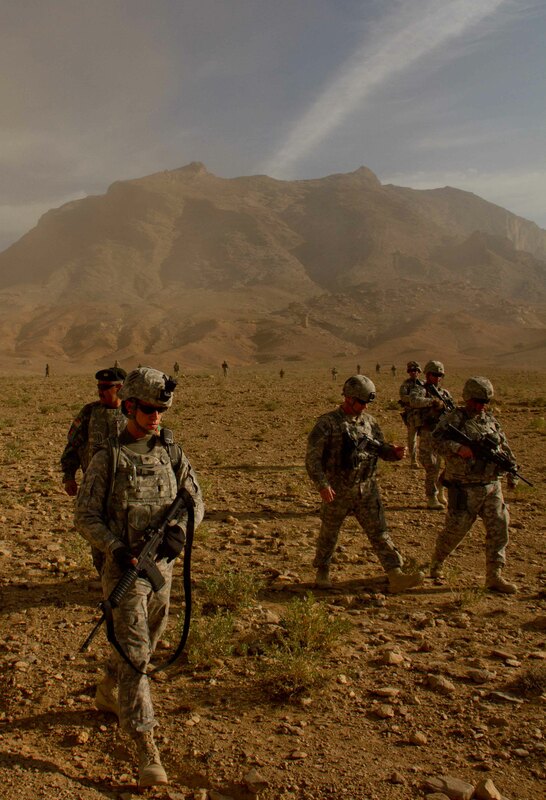 In Afghanistan, all this paid off handsomely. Instead of merely flying the AMR’s as expected, Task Force Brawler set out to gain its own slice of the battlefield. Lieutenant Colonel Ault sought to expand his unit’s role by forging unlikely alliances with coalition units that could help him achieve his goal of being “exponential” on the battlefield. With the daily AMR’s covered, Ault sent out airborne patrols in Blackhawks filled with the GCP. These missions were dubbed Average Guy Engagements (AGE’s), as opposed to the COIN-standard “Key Leader Engagements. “ Using their aerial mobility, the GCP would roll around Logar Province looking for unusual activity. When they spotted something, they’d drop down, dismount the GCP and check it out. In these early patrols, the GCP made its first contacts with the local population, who had never been policed from the air like this before. In most cases, these sudden appearances ended up generating good will. On one memorable occasion, the GCP landed next to a doctor whose car had broken down. The Americans offered to help fix his flat tire! Always looking for new ways to get into the battle space, Colonel Ault gradually expanded the role of the GCP. From aerial patrols, his fuelers-turned-warriors served as outer cordon for Special Operations missions, interdicting traffic around the perimeter of these crucial raids. To get ever deeper into the fight, Ault established what TF Brawler called “COIN Head Start” seminars. 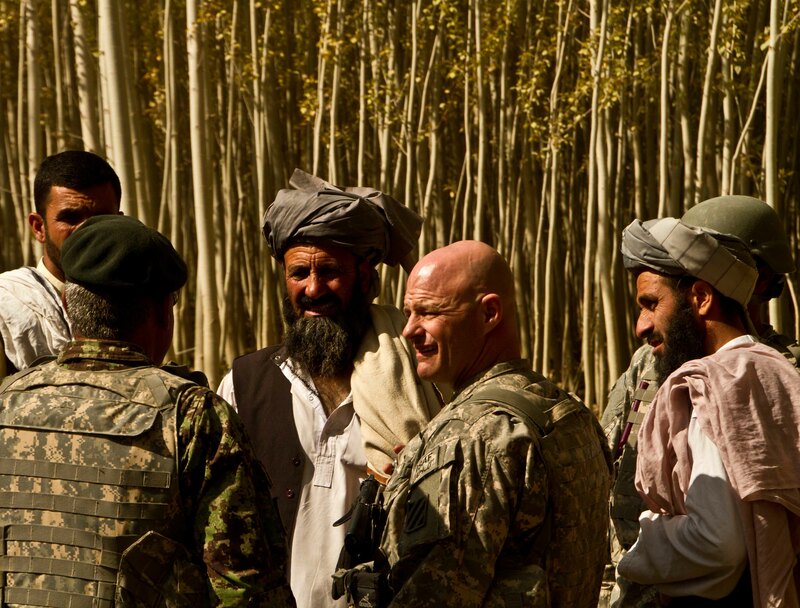 Bringing in experts at counter-insurgency warfare every week, his officers underwent an almost collegiate-level crash-course on how to stabilize and befriend local populations. After weeks of this on-the-fly intellectual training, they put ideas into practice with mock shura meetings where local Afghans taught them the customs and cultural sensitivities needed to engage successfully with village elders. In the spring of 2010, Brawler went into the counter-insurgency business. Colonel Ault convinced his brigade commander, Colonel Don Galli, to give his task force two long-neglected villages that sat astride a unit boundary south of FOB Shank. These two locales had not been visited by ISAF forces for months, if not years. Using their Chinooks and Blackhawks, Brawler’s GCP flew to these tiny hamlets where Colonel Ault, Lt. Evan Mace, Captain Gray, Captain Pruitt and Captain Alvord forged contacts with the local village leaders. Later, TF Brawler absorbed several more villages and a key valley into its ad hoc Area of Operations. 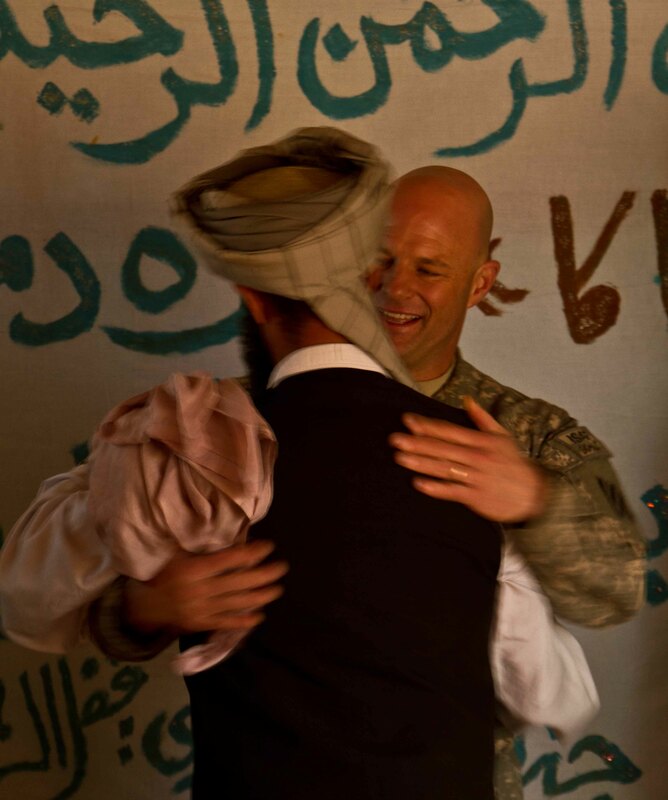 For the rest of the summer and fall, when not flying missions with his men, Brawler Six was out with the GCP meeting with Afghan sheiks in an effort to win them over to the coalition’s side. Brawler jump started numerous projects around the region, ranging from school construction, fresh water pipelines to mosque renovations and agricultural assessments. During the summer of 2010, roadside bombs virtually closed down stretches of Highway One in Logar Province. Brawler stepped in to help combat the IED menace. Using innovative new tactics, Colonel Ault put together an offensive airborne package known as Falcon Strike. 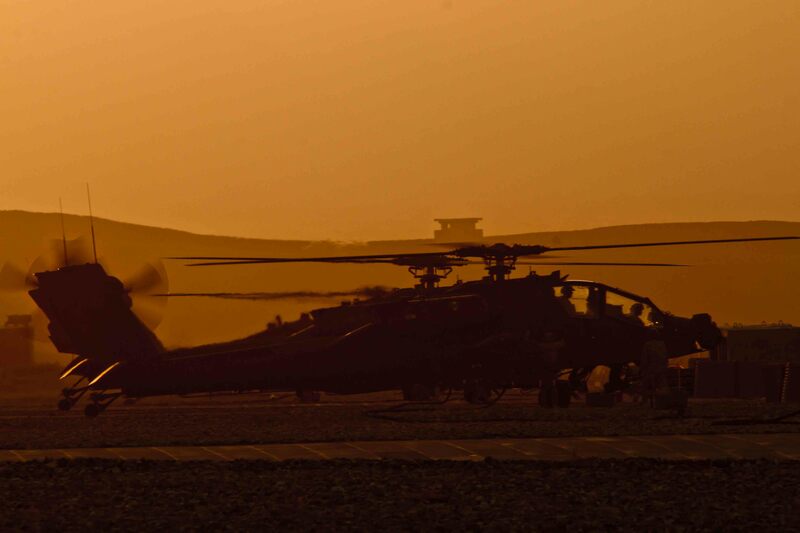 Each night, a combined force of AH-64 Apache Gunships, a command element in a Blackhawk, and the GCP mounted in several UH-60’s would patrol along Highway One in search of insurgents laying IED’s. The Apaches would engage these bad guys, and the GCP would then land nearby, dismount and police up weapons and intelligence from the bodies (and body parts). It was tremendously effective, and after the first Falcon Strike missions, IED placement along this stretch of Highway One virtually ceased for weeks. 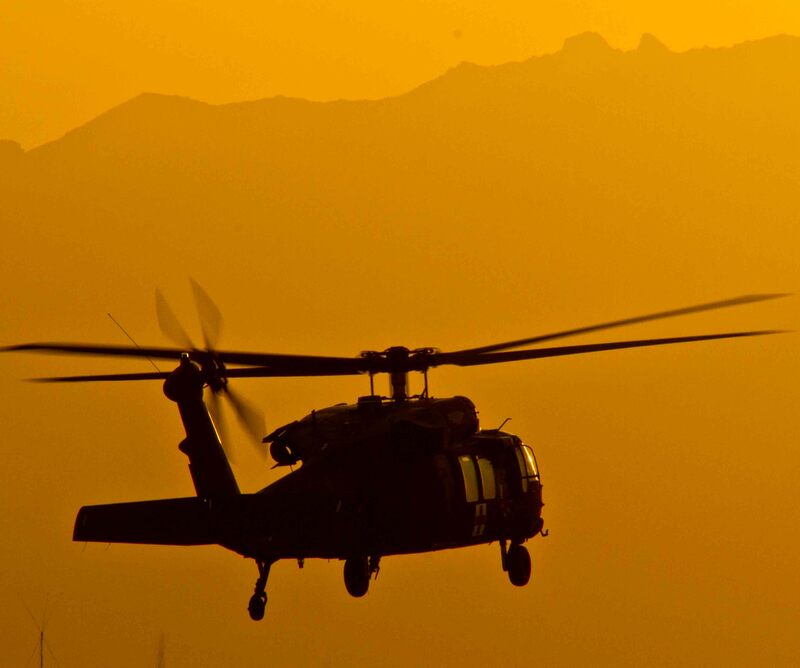 In a year of operations in Afghanistan, Brawler broke the mold for air units. Instead of being an airborne bus service for the local ground units, Ault’s dynamic leadership and aggressive desire to get more involved in the fight led to a revolutionary method of employing an army aviation asset. His task force joined the COIN fight in a unique and effective way. And while they were kissing babies and making friends by day, they killed scores of bad guys by night, saving countless civilian and military lives on Highway One. 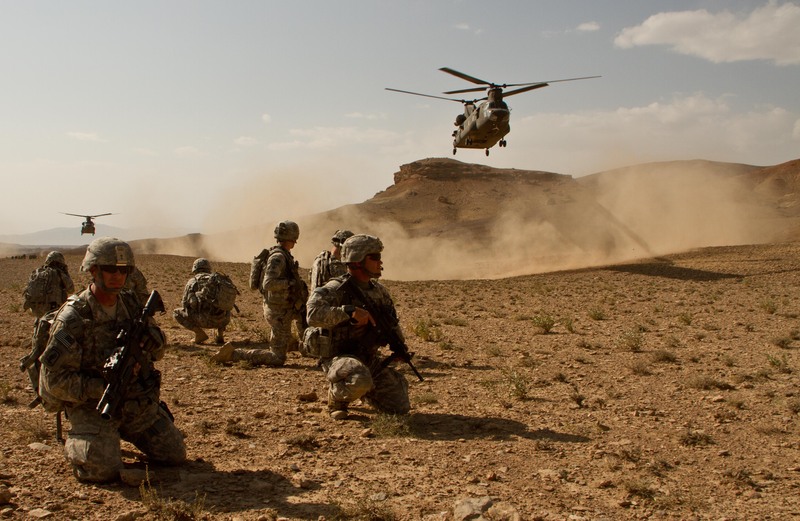 In the end, not only did Brawler Nation have an exponential effect on the battlefield, the men and women under Ault’s command had forged a new way of air-ground warfare in a counter-insurgency environment. When I asked Captain Andrew Alvord, the GCP’s platoon leader, how much of this was due to LTC Ault’s leadership, he replied without hesitation, “All of it. “ Captain Joe Pruitt, the Echo Company commander, said the same thing. Ault’s indelible leadership stamped Brawler from the outset and created a unique culture that blended a warrior’s aggression with intellectual creativity and a can-do spirit that ultimately created friends out of enemies throughout Logar Province. And for those irreconcilables? They paid the price for their continued resistance. 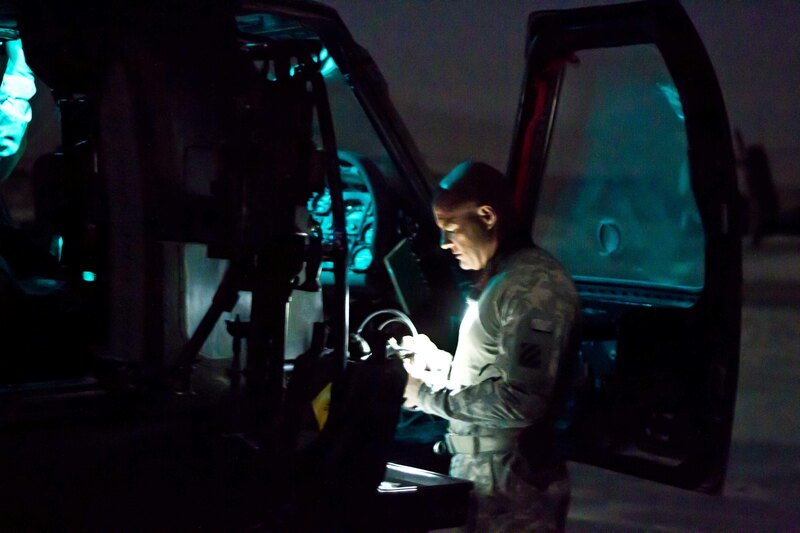 Task Force Brawler will be the standard by which all other army aviation task forces will be judged. 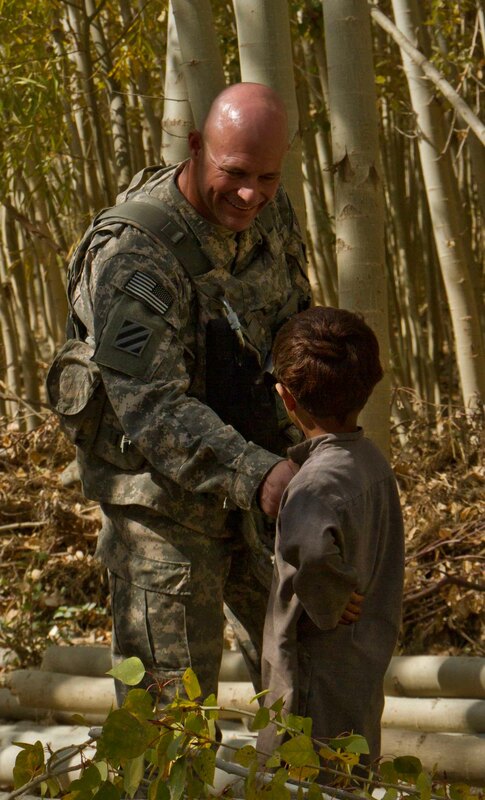 Lieutenant Colonel Ault’s leadership will serve as a model for others to follow and develop. And Brawler Nation will have an exponential effect on its own service for years to come. Not bad for a Southern California boy.